The actress offers a peek inside her tastefully-done home. Surbhi Jyoti (left), who rose to fame as Zoya -- and now as Zoya's daughter Sanam, in the television show Qubool Hai -- has recently done up her rented two-bedroom apartment in Malad, a western Mumbai Suburb. The young star enlisted the help of fellow actress and friend Malini Kapoor, who knows a thing or two about interior designing, to do up her new place. The outcome, we can assure you, is nothing short of fabulous! "Malini has done a fab job with everything," Surbhi tells us. "I had thrown a house party for my birthday, so that my friends could come over and check out the new decor. Everybody liked the look of the house; I was overjoyed when I saw the spruced-up house for the first time!" 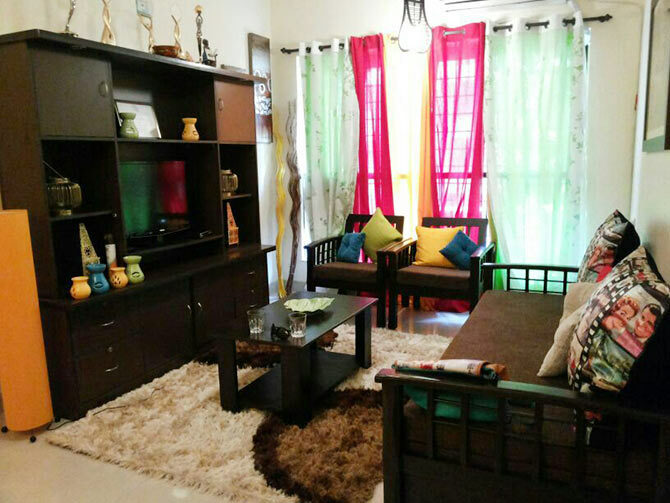 PIX: Actress Surbhi Jyoti's Super Stylish Mumbai home! 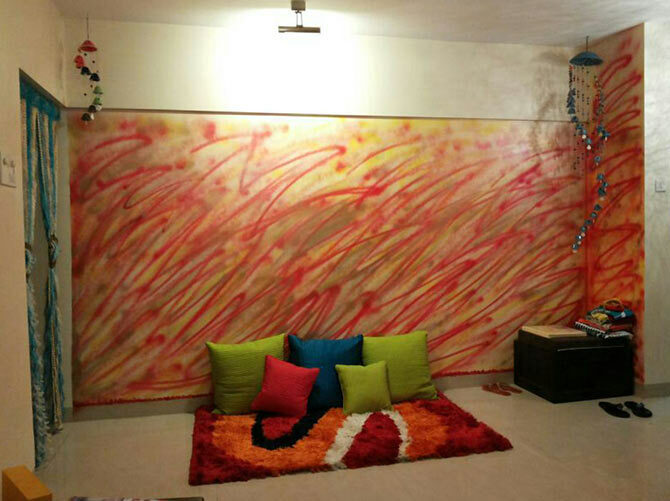 Malini says, "I have incorporated bright colours in Surbhi's apartment to reflect her personality and aesthetics. "I have painted one side of a wall in the house with bright colours like yellow, gold and orange." The space looks very striking indeed! "I used multi-coloured curtains and brown furniture because they go well with the look I was aiming for. "Cushions in the living room has Hollywood-themed graphic designs that are custom-made. 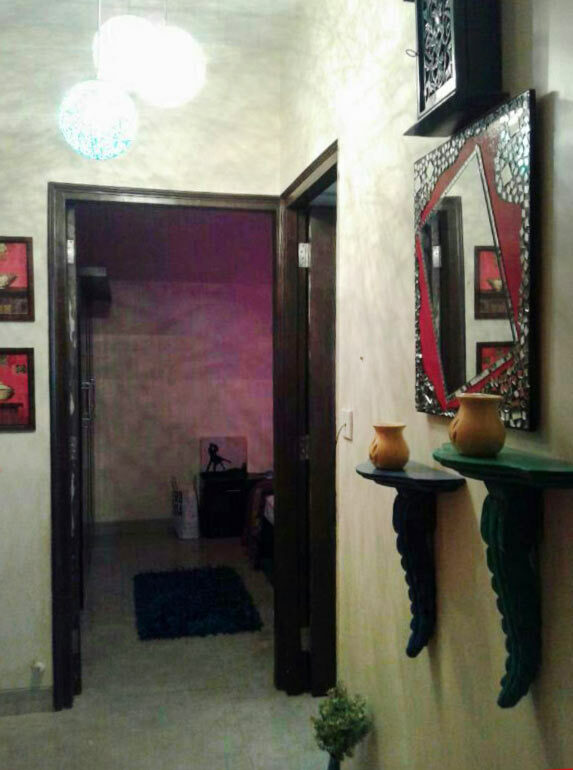 "I also designed lamps in the corners of the house with some wind chimes hanging around them," Malini adds. 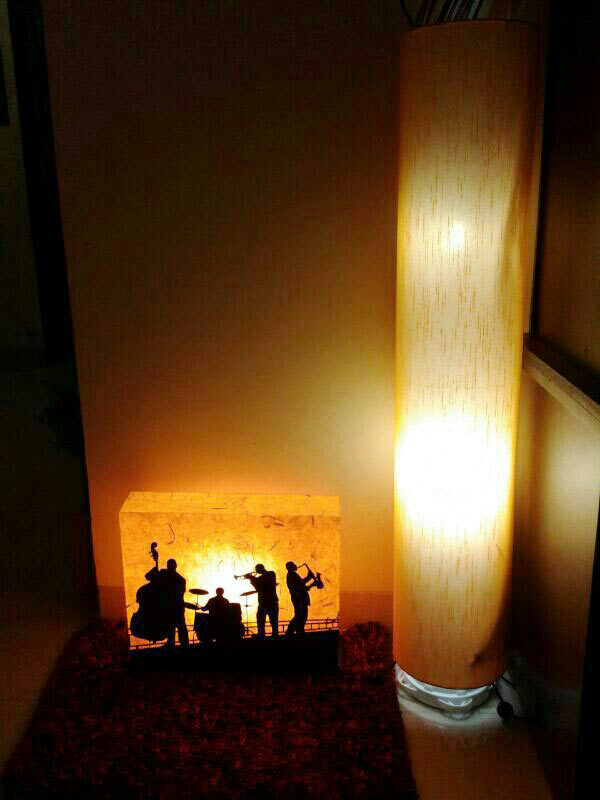 This creatively-lit space in one corner of the house gives it a very contemporary, jazz-inspired look. "Everything at my home is movable. If I shift to a place of my own, I can easily reuse it. 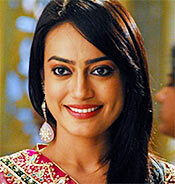 I will definitely consult Malini if I buy my own place," Surbhi says. 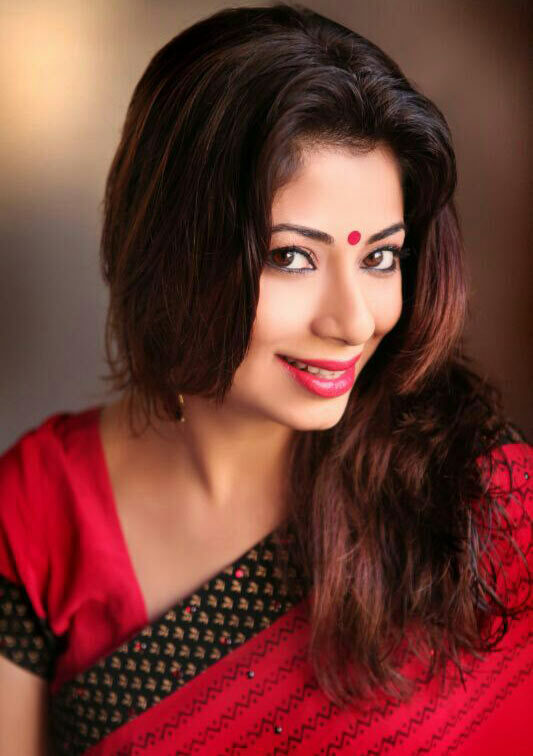 Malini had earlier done the interiors for television actor couple Shaleen Banot and Daljeet Kaur's house and was praised for her work. Daily game: Know the Tamil superstar Nagma is related to? Bollywood's 10 MOST Evil Laughs!